Get ready for more addictive martial arts fighting and Chinese mythology from bestselling author Kylie Chan... the amazing series that began with Emma Donahoe and John Chen will end with this trilogy. Kylie Chan burst into prominence with WHItE tIGER in 2006 and quickly established a huge fanbase. 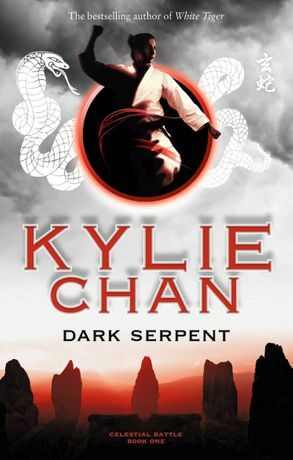 Her series combines martial arts and magic as the story follows the lives of the mysterious John Chen and his partner, Emma Donahue. Now John and Emma's epic story is coming to an end in this final trilogy beginning with DARK SERPENt. John and Emma head to Wales to try and work out who - or what - Emma is. But rather than providing a clear path to their long hoped-for marriage the answer could tear them apart forever. Emma will be forced to betray either John, her beloved Xuan Wu, or her past and birthright. to make matters worse, John's celestial home at Wudangshan is under attack from the Demon King. Can John find the Emma he knows and love, and save Wudangshan from demonic destruction?